These stories will give you hope. We've pretty much established by now how cool tattoos are. There are so many different types to get and so many places to put them. It seems like the choices are endless, and growing more and more each day. But tattoos aren't always just for fun. People choose to get tattoos for all sorts of reasons — including therapeutic reasons. Yes, tattoos have become a coping mechanism for some people. More people are getting tattoos that are inspired by the hardships in their lives, such as depression or anxiety. 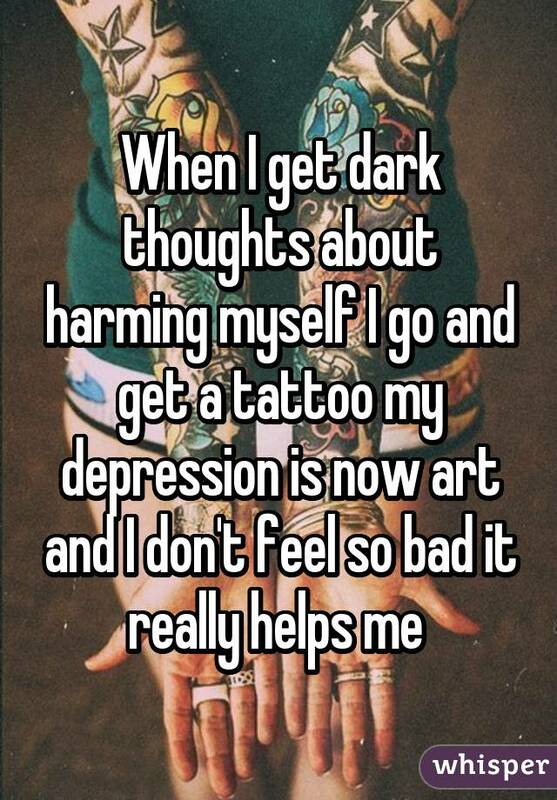 Getting a "depression tattoo" is becoming very popular for those dealing with mental illness. It alleviates the pain and serves as a little daily reminder of the past, present, and future of the tattoo's owner. Tattoos remind us of what we've already been through, the strength it takes to get through the present day, as well as the continued strength and hope that the future brings. 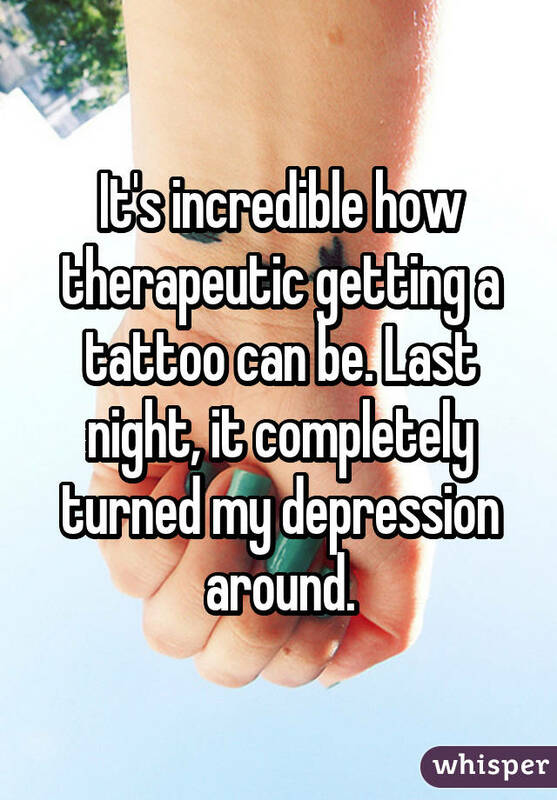 Here are some incredible stories of why tattoos are popular for people with depression and anxiety. 1. A tattoo can help you move forward. 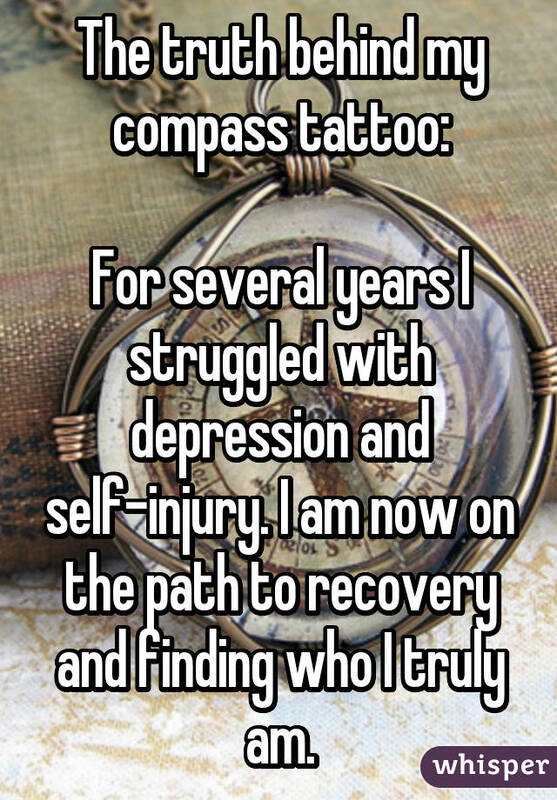 "The truth behind my compass tattoo: for several years I struggled with depression and self-injury. I am now on the path to recovery and finding who I truly am." 2. They have the potential to bring you good thoughts. 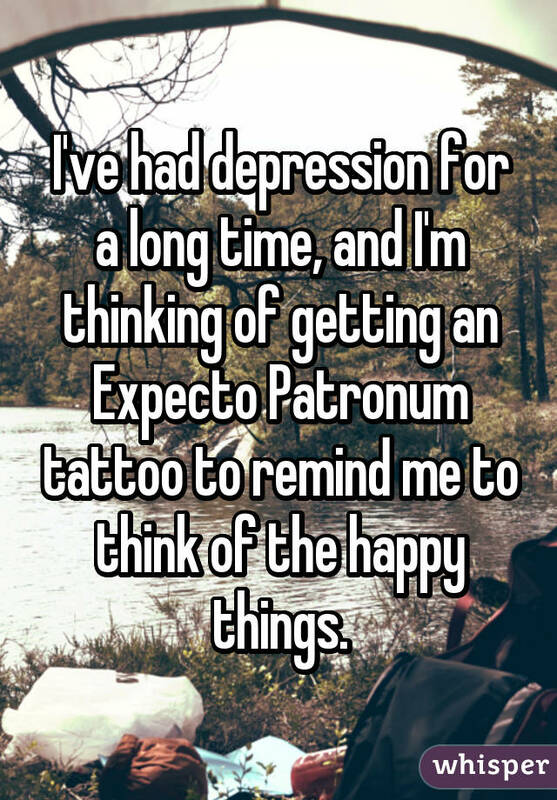 "I've had depression for a long time, and I'm thinking of getting an 'Expecto Patronum' tattoo to remind me to think of the happy things." 3. They remind you to stay on the right track. 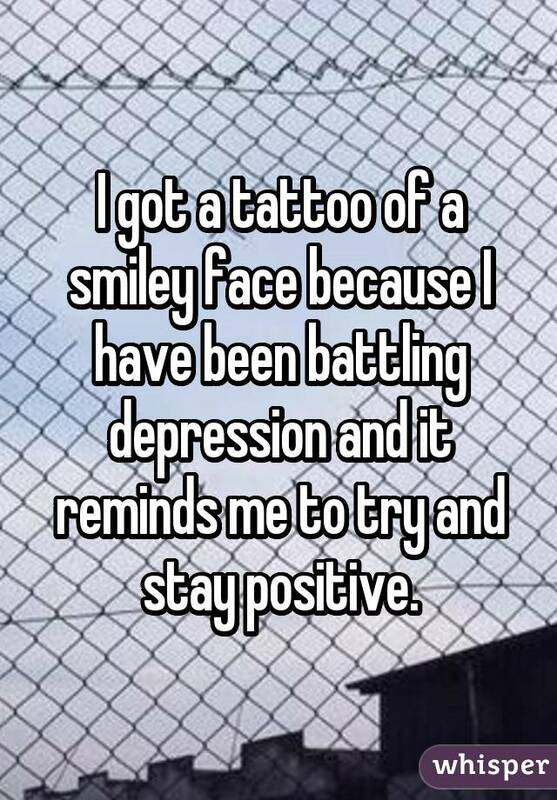 "I got a tattoo of a smiley face because I have been battling depression and it reminds me to try and stay positive." 4. They are a powerful reminder of what you've ALREADY overcome. "Just got my tattoo on Sunday to cover up the scars! 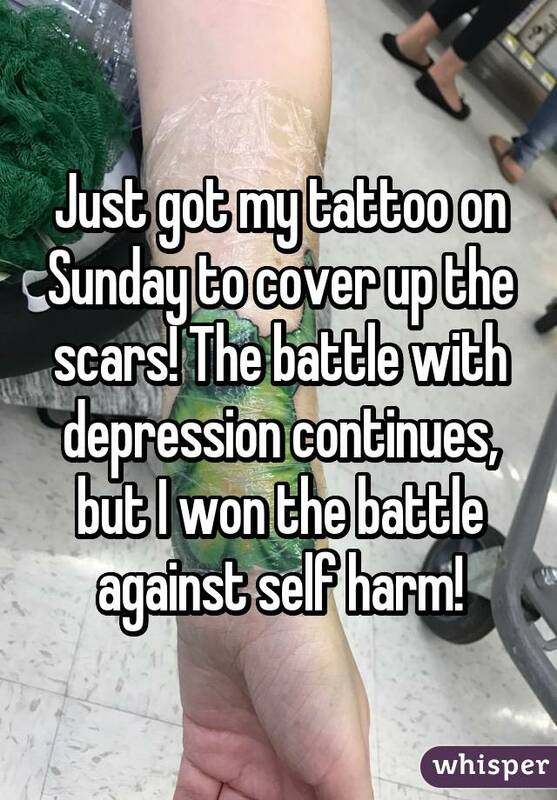 The battle with depression continues, but I won the battle against self-harm!" 5. Now you will never forget your courageousness. 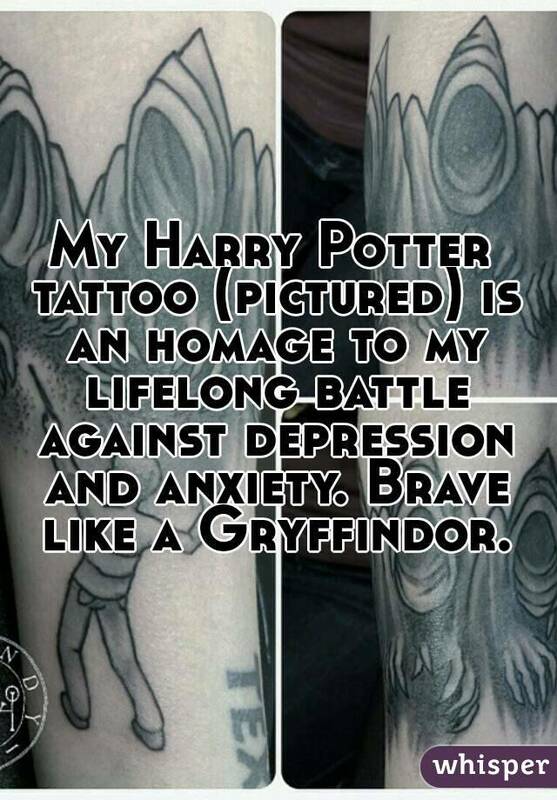 "My Harry Potter tattoo (pictured) is an homage to my lifelong battle against depression and anxiety. Brave like a Gryffindor." 6. A tattoo of one of your favorite things can be very healing. "I'm getting a Star Trek combadge tattoo on my wrist so I know I can fight another day. 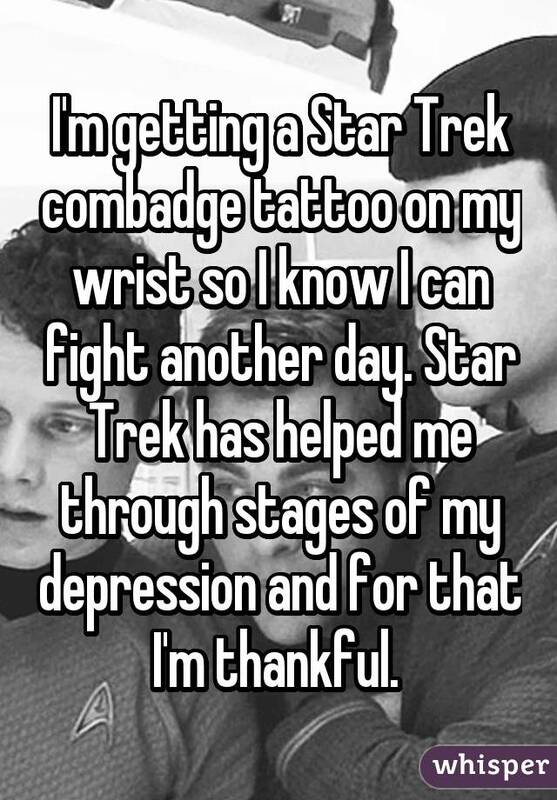 Star Trek has helped me through stages of my depression and for that I'm thankful." 7. They teach us that we can — and WILL — overcome any obstacles. 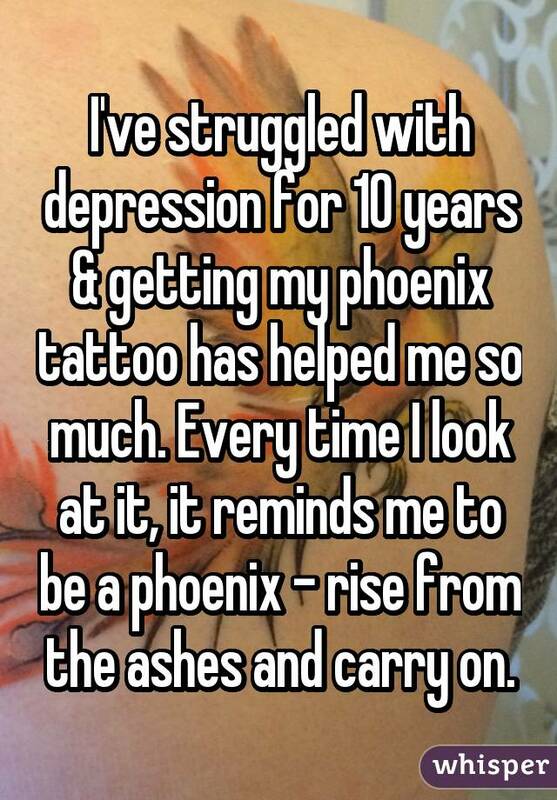 "I've struggled with depression for 10 years and getting my phoenix tattoo has helped me so much. Every time I look at it, it reminds me to be a phoenix — rise from the ashes and carry on." 8. A simple punctuation mark has taken on a much deeper meaning for so many. 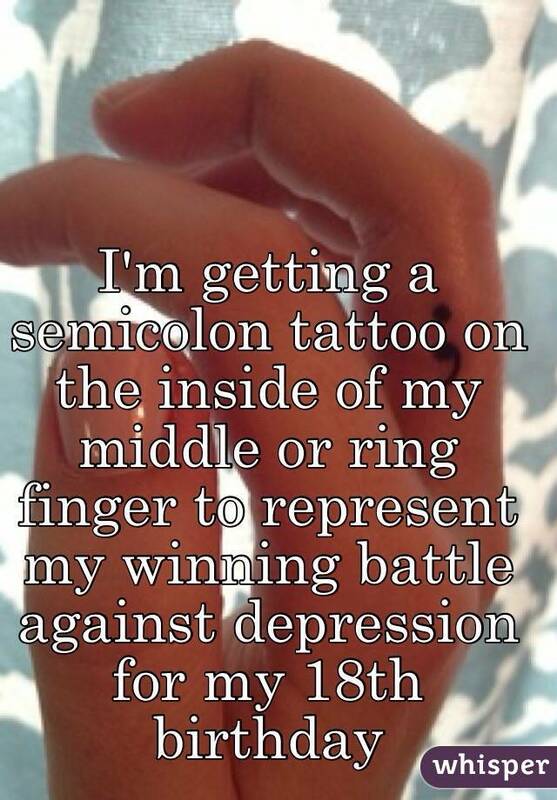 "I'm getting a semicolon tattoo on the inside of my middle or ring finger to represent my winning battle against depression for my 18th birthday." 9. You're the only one who knows the true meaning of your tattoo. 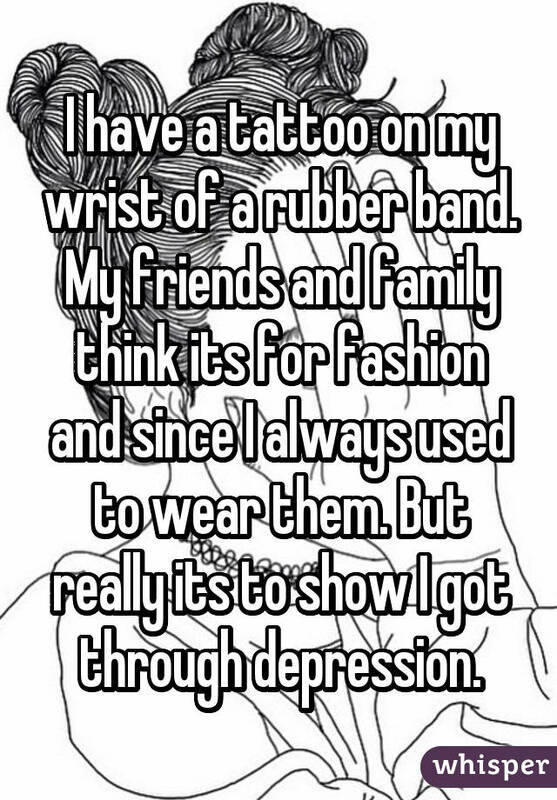 "I have a tattoo on my wrist of a rubber band. My friends and family think its for fashion and since I always used to wear them. 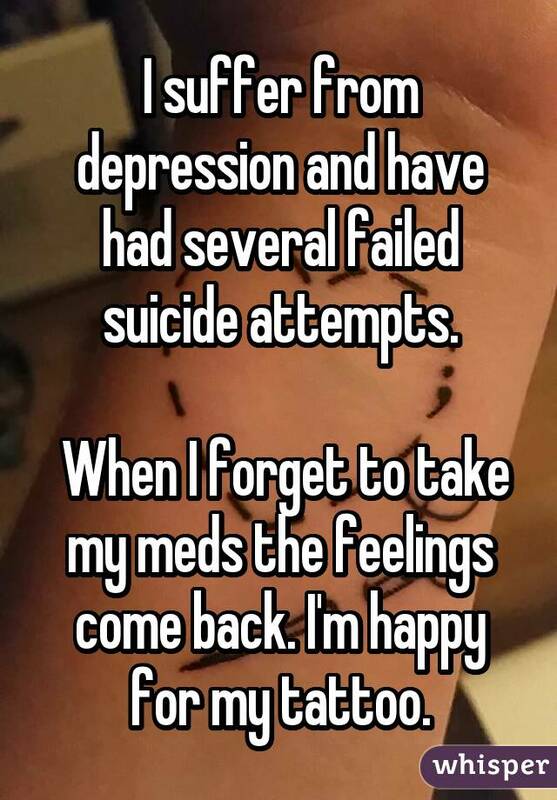 But really, it's to show I got through depression." 10. Your job can serve as a double meaning for your ink when you need it to. 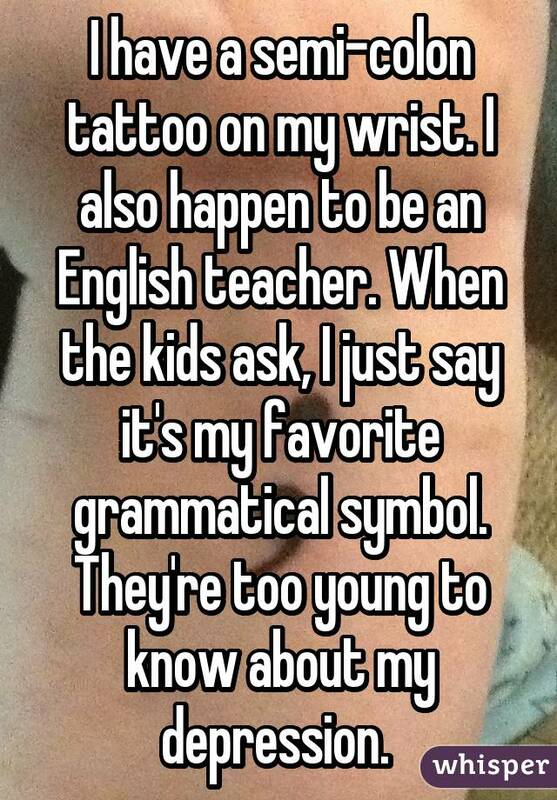 "I have a semi-colon tattoo on my wrist. I also happen to be an English teacher. When the kids ask, I just say it's my favorite grammatical symbol. They're too young to know about my depression." 11. A tattoo can remind you that you're a star that shines bright even in dark times. 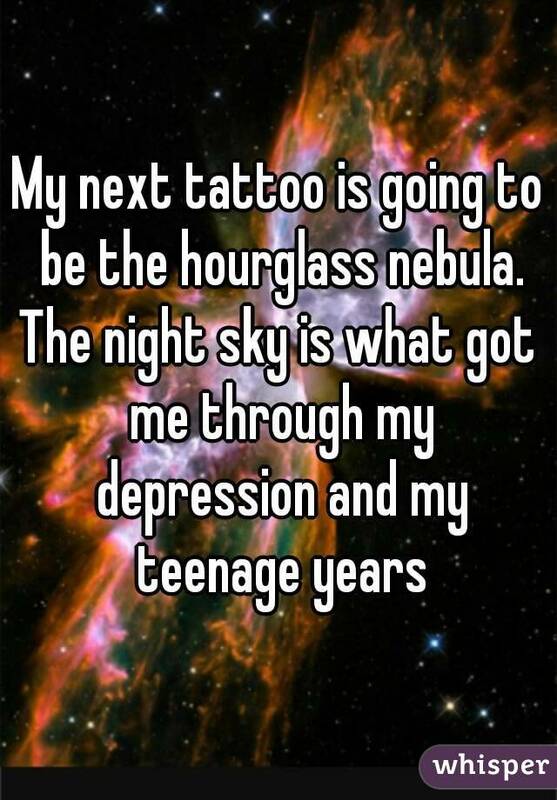 "My next tattoo is going to be the hourglass nebula. The night sky is what got me through my depression and my teenage years." 12. Their healing power is AMAZING. "It's incredible how therapeutic getting a tattoo can be. Last night, it completely turned my depression around." 13. They help you celebrate the milestones. "I have a tattoo that represents my struggle with depression. 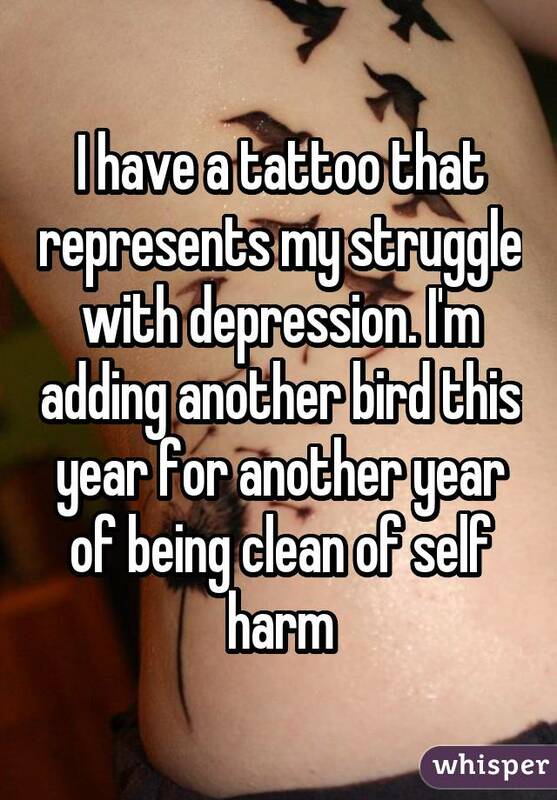 I'm adding another bird this year for another year of being clean of self-harm." 14. Not everyone understands how important your tattoos are. 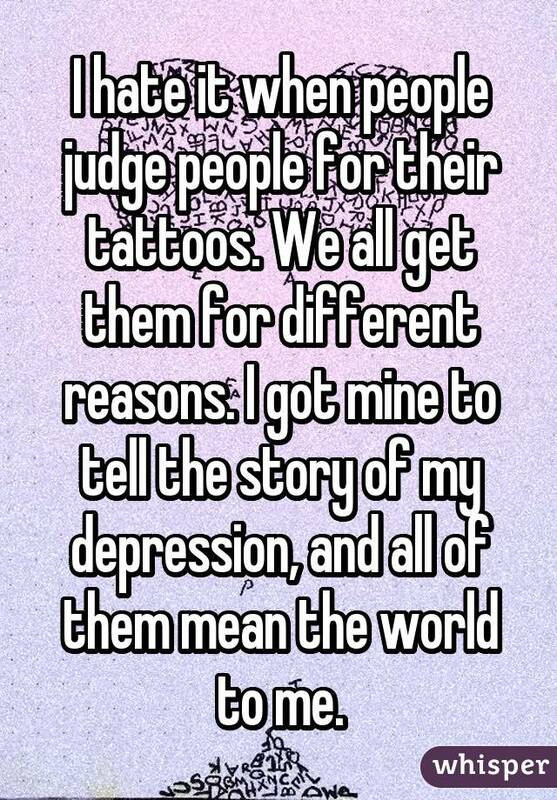 "I hate it when people judge people for their tattoos. We all get them for different reasons. I got mine to tell the story of my depression, and all of them mean the world to me." 15. A tattoo can save your life. "I suffer from depression and have had several failed suicide attempts. When I forget to take my meds, the feelings come back. I'm happy for my tattoo." 16. Tattoos can help you heal — together as a family. 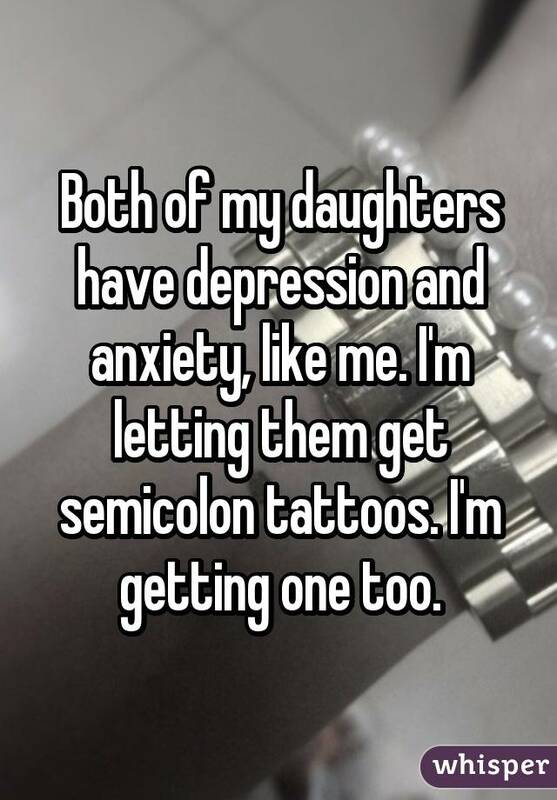 "Both of my daughters have depression and anxiety, like me. I'm letting them get semicolon tattoos. I'm getting one too." 17. They help you transform darkness into beauty. "When I get dark thoughts about harming myself, I go and get a tattoo. My depression is now art and I don't feel so bad. It really helps me." 18. Sometimes even the simplest tattoos can help the most. 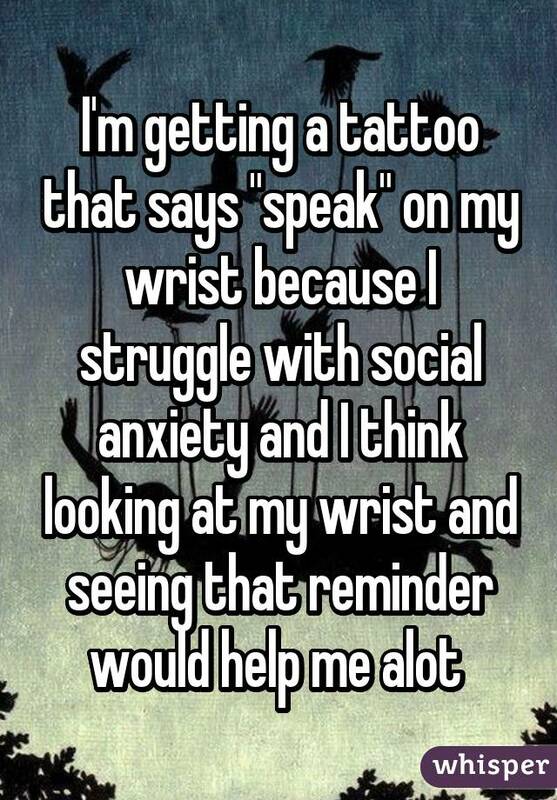 "I'm getting a tattoo that says 'speak' on my wrist because I struggle with social anxiety and I think looking at my wrist and seeing that reminder would help me a lot." 19. They truly are lifesavers. "I used to cut when I was depressed and I almost killed myself. 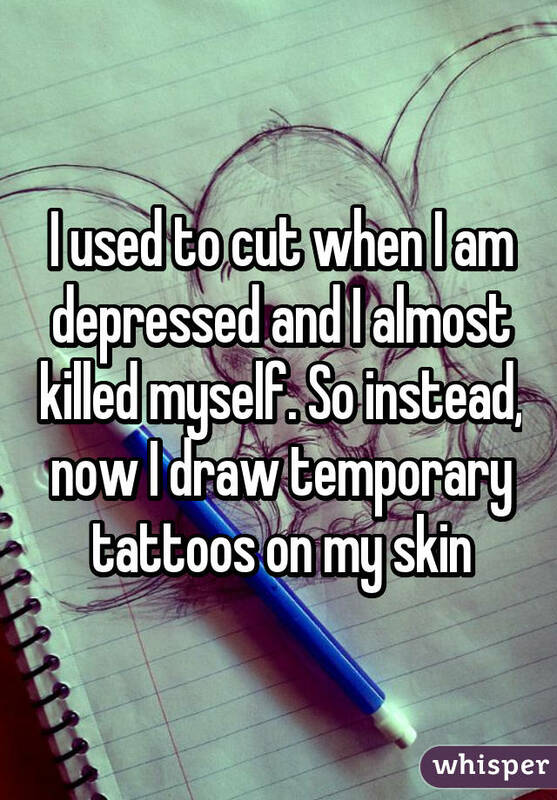 So instead, now I draw temporary tattoos on my skin." 20. Your tattoo is a real-life superhero. 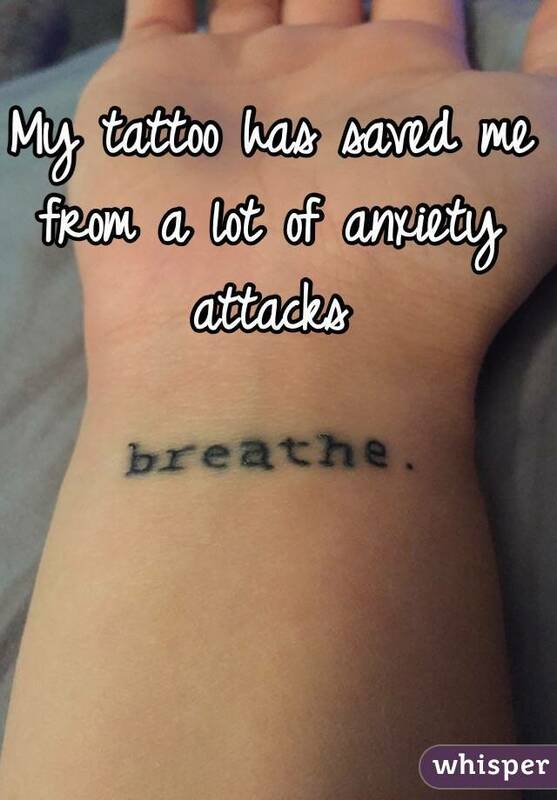 "My tattoo has saved me from a lot of anxiety attacks." Sloane Solomon is a professional writer and editor. She graduated from the University of Colorado with a Bachelors in English Writing. When she's not writing or editing, you can find her daydreaming in French about coffee, online shopping, travel, and baby animals.